For those of you who are fans of Steve Harvey’s Funderdome, you’ll probably know who my next interview is. For those of you who aren’t, let me introduce you to Joe Pippins, the founder of The Fishing Caddy and a recent winner of Funderdome’s $20,000 grand prize. Pippins’ story is a truly inspirational one and I’m very excited to share with you how someone on the brink of homelessness was eventually able to come out on top. As with many entrepreneurs, Pippins’ idea for The Fishing Caddy came out of his own experience with fishing. Recent @FunderdomeABC winner shares his #success story of @thefishingcaddy. He was on a trout fishing trip one day with about 40 to 50 other fishermen. As he watched everyone setting up along the water, he realized how much of a hassle the entire process was. “If you picked a bad spot, you had to pack up all that gear and find a new one. It was like playing the lottery.” Except this was a lottery that cost each fisherman about ten to fifteen minutes every time he or she decided to find a better spot. Out of this frustration with traditional fishing methods that Pippins and 46 million other fishermen rely on, he created this year-round, all-in-one fishing system now known as The Fishing Caddy. It’s actually a really cool system that makes the whole process of fishing easier and more convenient. It’s also one that caught the attention of the folks at Funderdome. Pippins’ background doesn’t sound like many of the ones we hear about on here. For someone who had to hustle his way into free school lunches (in exchange for creating art for the lunch room), it’s been a long and bumpy road. But one that he’s weathered with a lot of ingenuity and perseverance. As he explains it, there was a point in time where he hit rock bottom. He had run out of friends’ houses to stay at, his car had broken down, and he found himself wandering the streets of his neighborhood. “There was nothing stopping me from being absolutely destitute,” he said. “At that time, I even contemplated taking my life.” But with the help of a friend who talked him out of it, he learned that, although things might be tough right now, they can always get better. The key to surviving is to always be willing to work harder and find opportunities wherever they may be. And, so, here we are. Pippins’ Kickstarter campaign for The Fishing Caddy was a success as was his stint on Funderdome. But Pippins isn’t about to rest on his laurels now. “The publicity and PR that has come from it has shown me that you can’t base your long-term success on one opportunity,” he said. “You have to constantly be out there, looking for new ways to get your product out." “The publicity and PR that has come from it has shown me that you can’t base your long-term success on one opportunity. You have to constantly be out there, looking for new ways to get your product out." 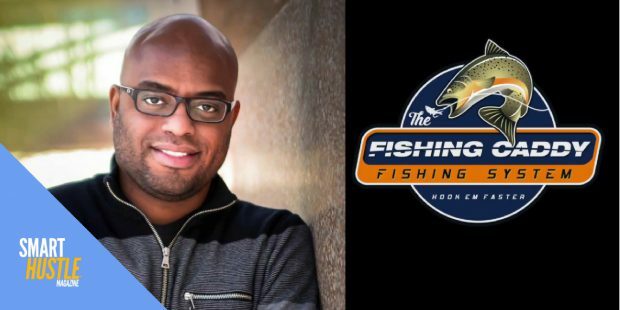 Joe Pippins of @thefishingcaddy shares the factors that lead to his #entrepreneurial #success. For three years Pippins handled all of the orders that were coming through. He now has a fulfillment center that handles everything. All suppliers send the parts directly to them, they create the products and ship them the same day the orders are placed. He also now uses QuickBooks—integrated with his Shopify website—to streamline the management of his business’s expenses and income. Through all this automation, Pippins can now focus more on the business side of the fishing caddy. He believes that practicing your pitch is an incredibly important part of entrepreneurship. He regards Daymond John’s Power of Broke as essential reading material for every entrepreneur, whether they’ve come from nothing or a whole lot of something. He also talks a lot about fear and how all entrepreneurs feel it. Whether they’re at the top of the heap and scared they’re going to lose it all, or at rock bottom and afraid they’ll never make it, everyone is scared. Knowing this puts you at an advantage so you can work through it; on your own, with a mentor, or with those close to you.